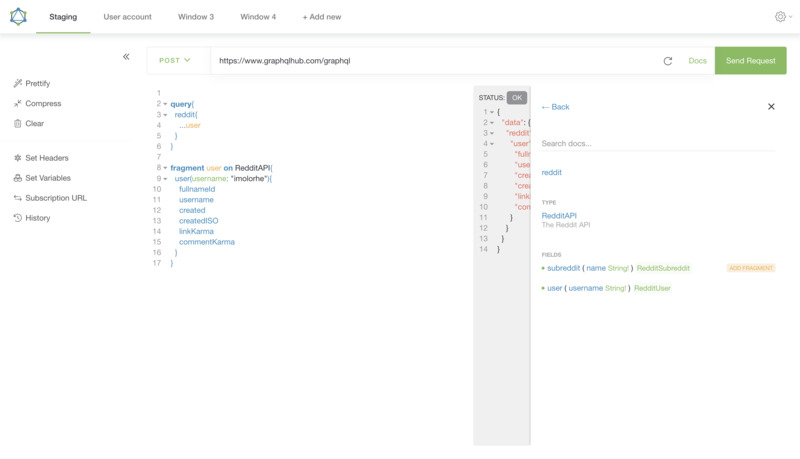 A beautiful feature-rich GraphQL Client IDE for all platforms. Available for MacOS, Windows, Linux, Chrome, Firefox. Enables you interact with any GraphQL server you are authorized to access from any platform you are on. Much like Postman for GraphQL, you can easily test and optimize your GraphQL implementations. You also have several features to make your GraphQL development process much easier including subscriptions, query scaffolding, formatting, multiple languages, themes, and many more.